Bling City Casino claims that it has one of the best bonus systems out there. It also has some highy unique features. For example, the playes get to choose a citizen from a cast of cartoon characters like; Fashionista, Cosmo Girl, Harvey Goodlife, Mr Wallstreet, Mr Vegas, Rocker, Slotmachine Betty, The DJ, Yach Club William and the Driver. The staff evidently wants to take online gambling to a whole new level. Social media is utilized for the purpose of making the venue more appealing. The entertainment value of the casino is very high, especially since NentEnt is the main software provider. Bling City Casino Bonus deal offer is also worth examining in detail. The promotional deal section features a new player welcome bonus offer. 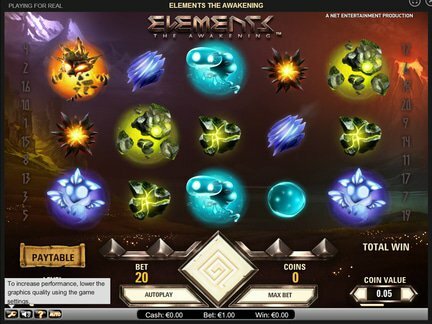 The player can receive a €1,500 plus 10 free spins. Unfortunately, the deal is isolated. There aren't any other offers in the section devoted to such things It is possible that the deals are hidden at this point in time. But if this trend continues, the competition will easily win the hearts and minds of players and redirect their attention away from the online casino, depite some of the good features of the venue. The following payment options have been revealed. They would include; Visa, MasterCard, Neteller, PaySafeCard, PugglePay, Skrill, Trustly, Bank Transfer, etc. The withdrawals are processed throughout the week in order to ensure that they reach the player within a reasonable amount of time. In terms of security, the players can count on the encryption methods. They are the the industry standard that is known for protecting the player's sensitive information. The United States of America is the only country with access restricitons, at least according to the terms and conditions. However, the casino has a right to extend the restrictions to users from other countries. Since the € currency is supported, it is evident that Europe remains a focus of attention for the casino staff. The choice of the licensing body would also point in this direction. At the same time, the casino remains open to players from around the world. The featured game category shows the following titles; 5X Magic, Age of Spartans, Age of Spartans Spin16, Alladins Lot, Allen Robots, Aliens, Aloha! Cluster Pays, Alpha Squad Origins Captain Shockwave, Alpha Squad, Attraction, Aztec Idols, Aztec Princess, Beach, Big Bang, Big Game Spin 16, Big Game, Blood Suckers, Boom Brothers, Buckin' Broncos, Bucksy Malone, Cats and Cash, Champion of the Track, Chinese New Year, City of Gold, Cloud Quest, Code 211, Cops n' Robbers, Cosmic Fortune, Cosmopolitam, Crazy Cows, Creature from the Black Lagoon, Crime Scene, Crusade of Fortune, Dazzle Me, Dead or Alive, Demolition Squad, Diamond Dogs, Dollars Down Under, Dracula, Dragon Island, Dragon Ship, Drive: Multiplier Mayhem, Duke's Domain, Easter Egg, Eggomatic, Egyptian Heroes, Elementium, Elementium Spin 16, Elements the Awakening, Enchanted Crystals, Enchanted Meadow, Frontside Spins, Football Fever, and many others. Slots and Roulette constitute the major game categories on the site. The customers would like to see more free spins and slightly better wagering requirements. However, the casino is perceived as a trustworthy site. From my perspective, the lack of solid promotional deals is a weakness that's difficult to overcome. However, the players can make up their own minds about this casino. In case they would like to contact the staff, the following contact methods have been provided for them; e-mail and chat. 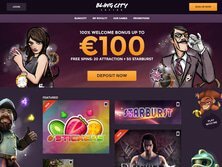 The casino website is operated by Bling City Limited. This company has a license from the Malta Gaming Authority, a fine licensing body. The license was issued back in 2013. Setting up an online casino account is easy. A brief registration form must be filled out by the player. I loved the games at Bling City Casino. However, I was disappointed with the promotional offers, especially since the casino promotes itself as the place with the best bonus system. I actually thought that the offer was inferior to what I've seen elsewhere. It would be nice to see some improvements in this area. If the staff chooses to deliver on its promise, I might consider becoming a long-term member.